Raleigh, NC - M2 Optics Inc., the leading designer and manufacturer of professionally packaged optical fiber platforms for network simulation and latency applications, announced the new Fiber Lab 250HD, the latest in their popular and growing portfolio of specialized solutions. 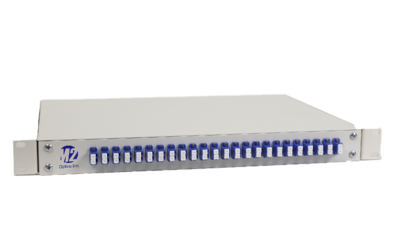 Offering up to 24 optical fiber coils in just a 1RU footprint, the Fiber Lab 250HD was designed for entities requiring multiple optical time delays in the smallest amount of rack space. Every Fiber Lab 250HD is fully customized to the user’s exact specifications with virtually all fiber types from leading manufacturers available. In addition, M2’s in-house, advanced fiber spooling capabilities enable users to receive very specific lengths of fiber based on the desired time delay or distance requirements. Whether an engineer needs to deploy a larger number of brief time delays or a fewer number of longer delays, the FL250 HD can serve as a valuable tool in the network environment.